Portella is a proud distributor of Rocky Mountain® and Hoppe hardware. Rocky Mountain offers Premium Quality Hardware that has been adapted to work perfectly with all Portella products. Rocky Mountain hardware is expertly crafted in America using only the finest art-grade bronze and precision-quality mechanisms that stand up to the test of time. In fact, all products are backed by a lifetime guarantee. Each piece is individually cast for one-of-a-kind character, and then given a hand-applied patina that grows richer and more lustrous in response to the environment. 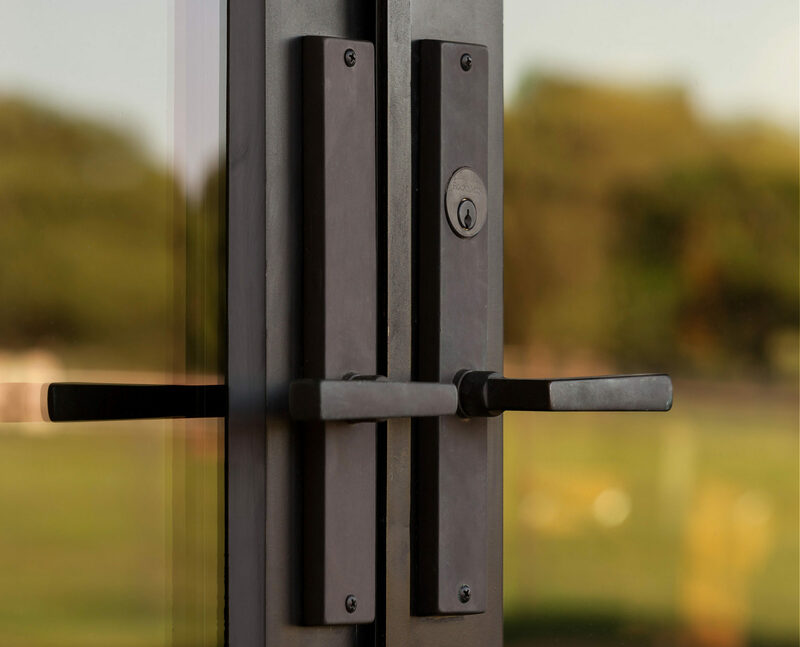 Hoppe North America manufactures multipoint locking hardware in Wisconsin to maintain the highest level of quality and needs of customers. Portella has partnered with Hoppe offering a 5 point multi-lock system on our Artisan Thermally Broken series. Solid brass narrow back plates and levers are available in several finishes. The slender hardware profile is the perfect compliment to the steel doors narrow sight lines. Established in 1987, Ashley Norton has grown to become one of the leading designers and manufacturers of architectural hardware. They have developed a wide range of products including a collection of designs, finishes and styles that suit even the most discerning customer. With both Solid Brass and Solid Bronze manufacturing capabilities, their product range is amongst the most diverse in the high end architectural hardware industry.